Following credible and confirmed information about the convergence of some elements of suspected Boko Haram terrorists at Jarawa village, Kala Balge Local Government Area, Borno State, troops of 3 Battalion, 22 Brigade Nigerian Army of Operation LAFIYA DOLE, in conjunction with some Civilian JTF yesterday Sunday June 11th, carried out a successful clearance operation along that axis. The troops were able to neutralize a large number of Boko Haram terrorists including the notorious Abu Nazir, the terrorists’ Amir in Jarawa during the operation. 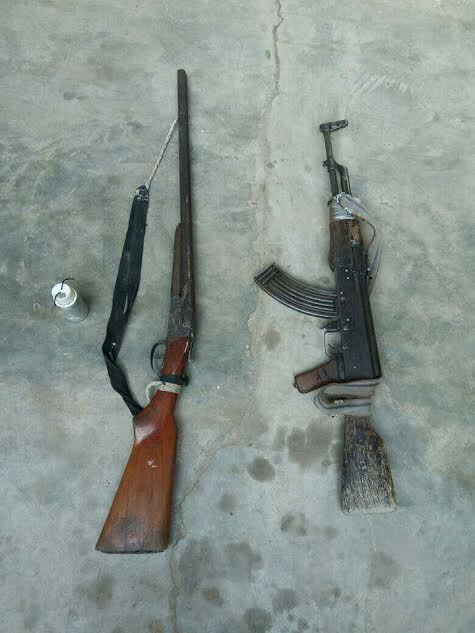 They also captured several weapons including an AK-47 rifle, 1 Double barrel gun, 1 primed heavy Improvised Explosive Device (IED) and 3 Motorcycles. Additionally, they rescued 9 abducted children undergoing training at the terrorists’ training camp in the village. The minors have been evacuated and are being given preliminary humanitarian assistance in preparation to handing them over to Kala Balge Internally Displaced Persons Camp Management Committee.